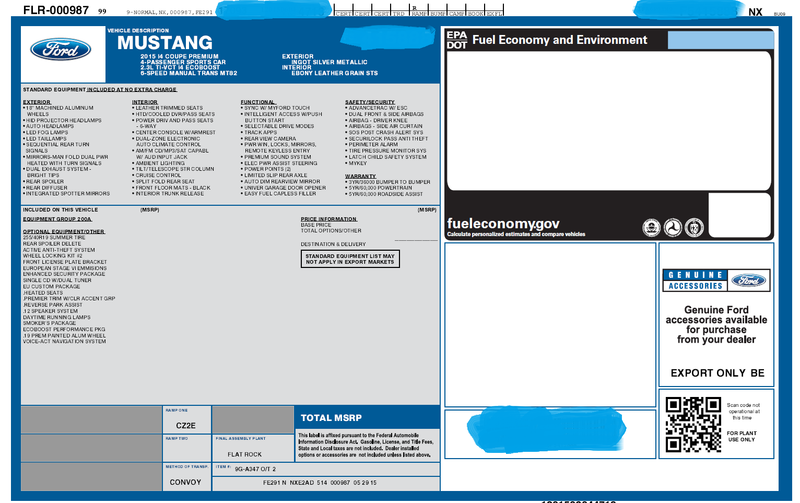 Mustang Ecoboost Forum > Ecoboost Mustang Ownership > What Did You Do To Your EcoBoost Mustang Today? > What did you do to your Ecoboost Mustang today? 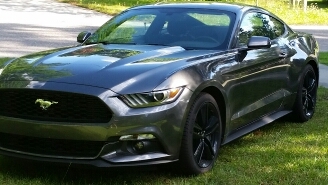 Share what you did today with the Ecoboost Mustang community! Example: Finally got my window tints done! I put another 150 miles on her, up to 9k already. Man I love this car. How long have you had the ecoboost now? Got any pictures? I tried to upload some pics, the build date is 24 February 2015. I drive about 800 miles a week so I guess I need to breakout the bike and jeep to start offsetting the miles. Correction my build date was 24 January 2015, i thought it was Feb. Oh well, i guess time flies when your having fun. I downloaded my Window sticker and have all the info I have. Production date 06/04 and EDD 07/16/15. Bustang33 and HPBJr like this.
" Boostlag is like foreplay "
took the engine cover off, blacked out the pony emblems and started polishing the paint. For a new car, it has some flaws. Rubbing compound and polishing by hand wasn't enough, so it looks like I'm going to have to clay the whole car and go from there. Don't want to have to break out the RO on new paint. Bought it today- and broke it in..